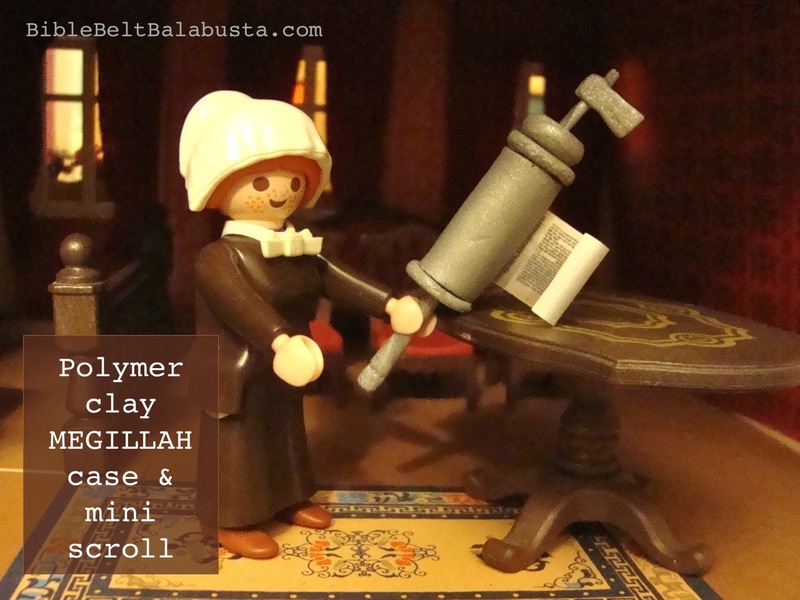 I did not plan to make a Playmobil Megillah case today, but an unexpected email derailed me. 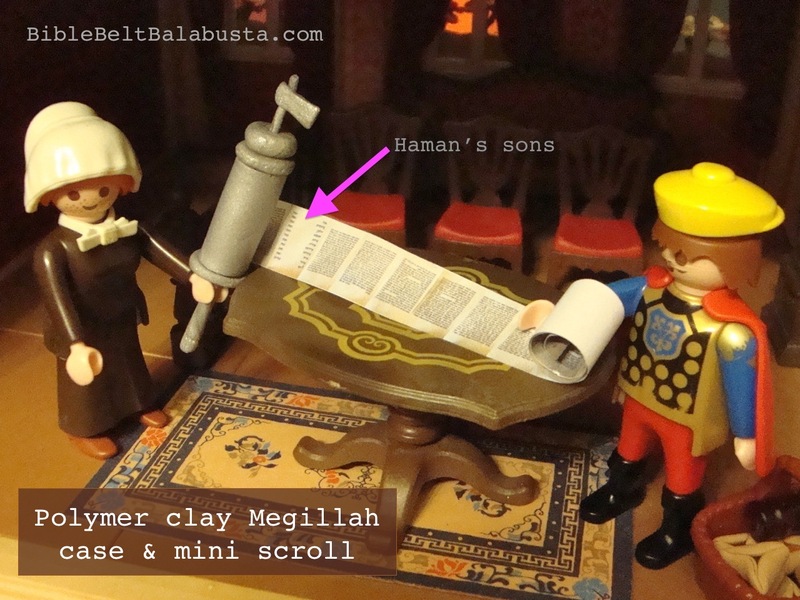 Attached was a pdf of the whole Megillah in thumbnail miniature, fresh from the scribe who wrote the real thing. Frozen groceries melted on the counter while I ran upstairs for the clay box. 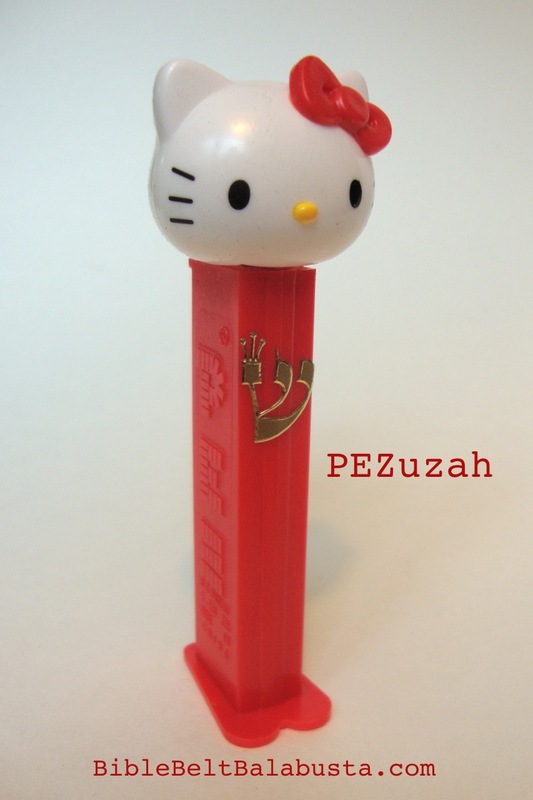 A mini Megillah deserves a mini case, don’t you think? Here is my minimalist polymer clay version. 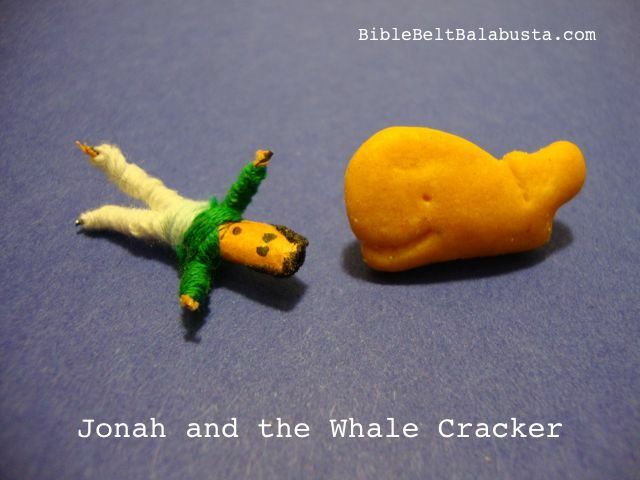 Good thing my Playmobil Jews prefer simple lines. 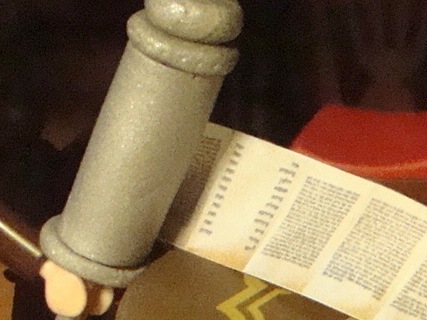 I made a slit in the clay so that the scroll could be pulled out and read, page by page, and I made a tiny gragger that can be removed from the crown, just like the life-sized one at my synagogue. 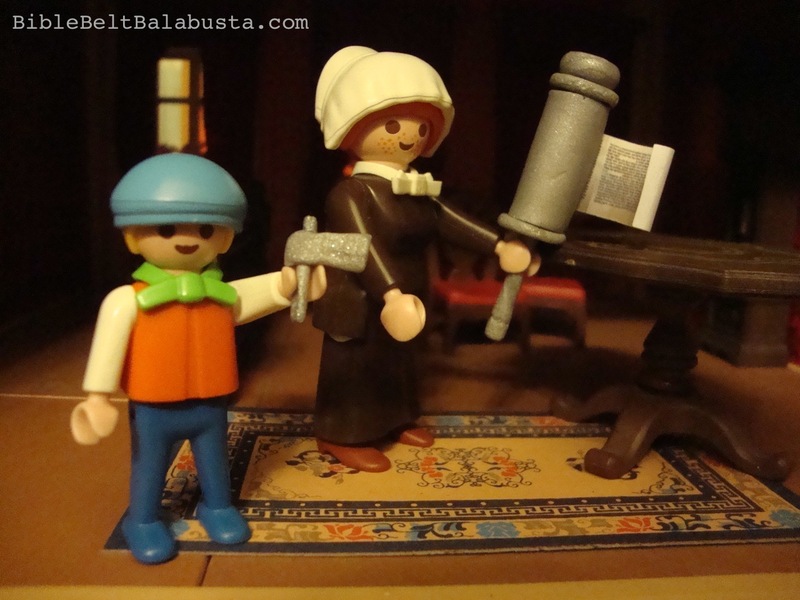 Thank you, Jen, haSoferet, for thinking of my Playmobil folk in their hour of liturgical need. What an honor. Now, they can bag all Four Mitzvot of Purim: hear the Megillah, have a festive meal, send portions (goodies) to others, and give gifts to the poor. Arrow marks the page listing Haman’s ten sons. Megillah readers must chant all ten in one breath. A couple of weeks ago, I brought our synagogue’s real Megillah and case to my Sunday School classes for a show and tell. The kids were in awe of the whole thing: parchment, Hebrew, case, gragger. They each got to spin the silver gragger and inspect the Hebrew lettering. Even the Kindergarteners recognized the shins in that long, third word in: Ahashverosh. Thrilling stuff. Which brings me to one of my Big Points Of All This. 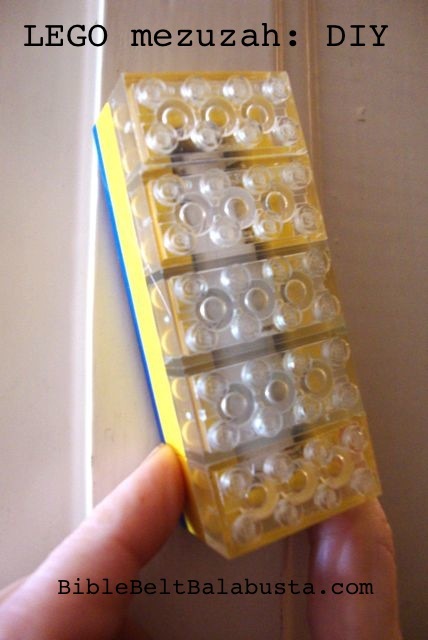 To make miniatures of real objects is fun and educational no matter what the materials (as long as they are irresistible), but minis are most meaningful when a maker gets to see and hold and use the life-size thing in the first place. 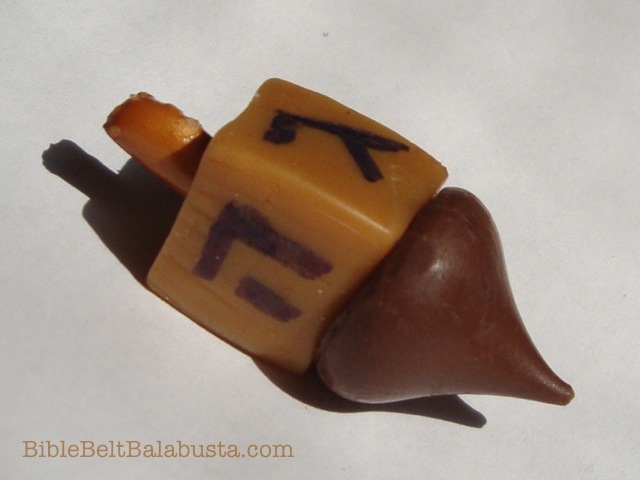 Otherwise, the hands-on, concrete reference point your kid just made—aka the edible dreidel, the clay hamantasch, the LEGO gragger—is more abstract than concrete. Most of the time, nabbing a real Something is easy. It’s not that hard to round up a few examples of graggers for a Tot program, but I’ve been to too many programs where the leader just describes a gragger and mimes a gragger, and then expects toddlers to make a gragger out of a paper plate. What’s a gragger? How would they know? Finding a real Megillah can be more of a challenge, but if you belong to a synagogue which owns one, ask permission to see it or show it. And then take a photo of the kids’ faces when they meet it. Beautiful. Made two Sculpey cases. The gragger fits in the top of both. 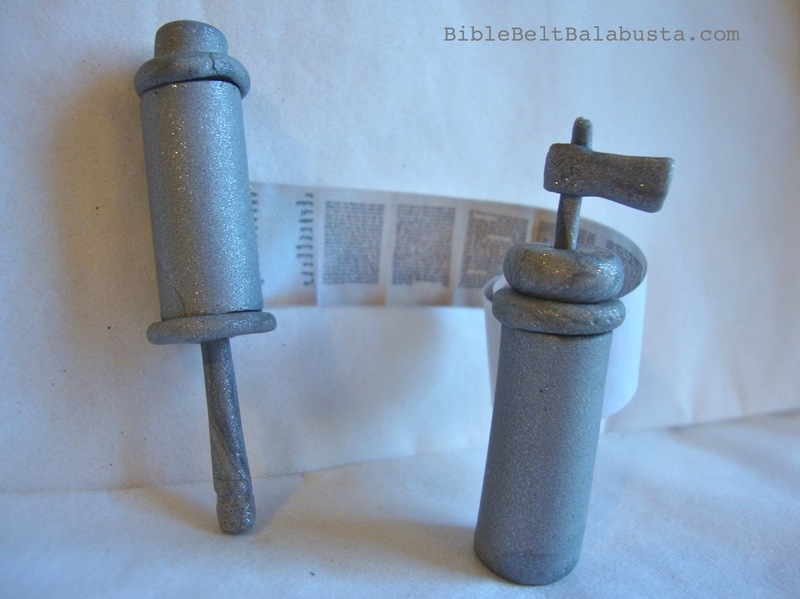 Jen’s exquisite Torah scroll for Tefillin Barbie. 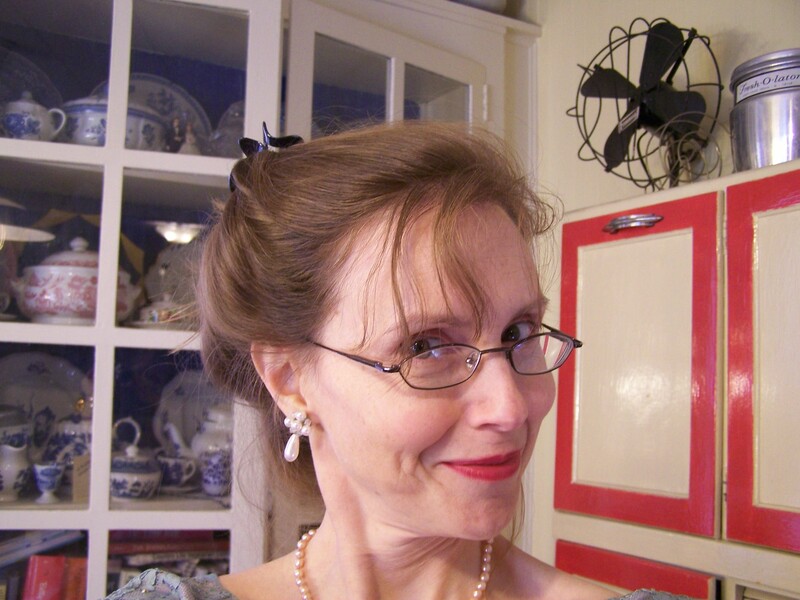 Jen Taylor Friedman, Torah Scribe. 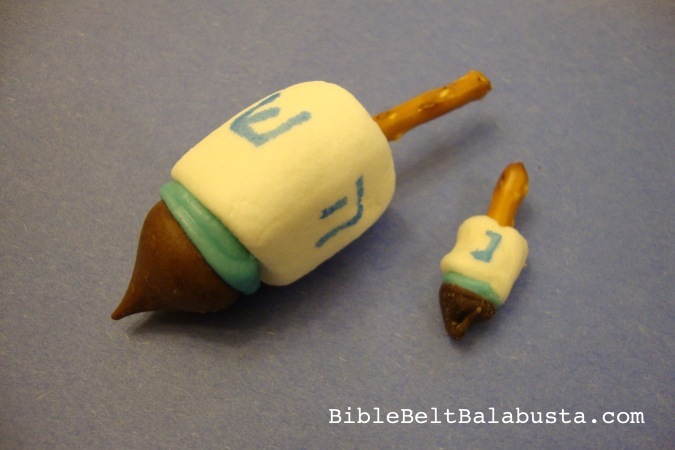 This entry was posted in Purim and tagged clay, Esther, gragger, Megillah, miniatures, polymer, sculpey. Bookmark the permalink.